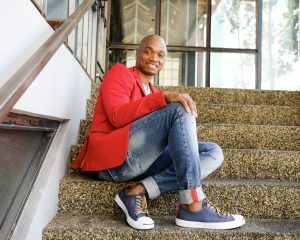 An Interview With Internationally Renowned “The Voice” Contestant, JESSE CAMPBELL, Who Is Gearing Up For His Next Round! 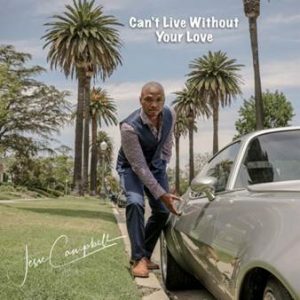 Electrifying, internationally renowned vocalist Jesse Campbell, whose profile rose as a beloved contestant on NBC TV’s “The Voice,” is premiering a new summer single “Can’t Live Without Your Love” exclusively on AXS Music. The uptempo, feel good, summer banger was co-written by Campbell, known for performing heartfelt music with soul, along with Emile Ghantous, Keith Hetrick and Tyler Conti. The single was released on July 26th on Desta Music Group/HIZ Media and is available on all digital outlets. 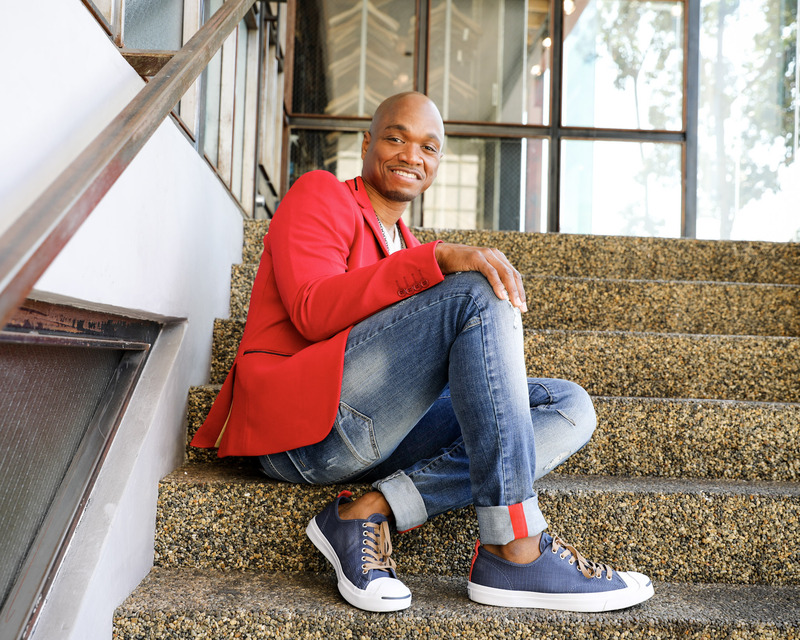 Campbell, who comes from a Christian background, is a single father who once slept in his car post divorce as he struggled to make it in the music industry. During his blind audition on “The Voice,” he prompted all four celebrity judges to turn their chairs in astonishment, as they witnessed the caliber of his artistry. Each judge gave him the highest accolades and began vying for him to become a member of their respective teams. Campbell went with Team Christina. One of Campbell’s television highlights was dedicating a very touching rendition of the song “Halo” to his daughter Soraya in front of the world. “Can’t Live Without Your Love” is now impacting Urban AC radio. Can’t Live Without Your Love by Jesse Campbell from Darryl Porter on Vimeo. It’s my pleasure… Well 2017 has been a real treat/harvest of good and inspiring fruit from years of labor. Absolutely. This year I set my intention to create and share fun inspiring and motivating songs. Then I begin to apply my attention in walking/working in that direction. And things are happening! Where does this interview find you today? Is there music playing in the background? In a very good and grateful place of manifestation. Needless to say, my latest single that just hit the top 30 on the Billboard charts-“can’t live without your love”? It’s been a long time coming :-). Can’t stop listening to it LOL. What kind of music do you listen to when you are working? What music gets you instantly out of a bad mood? The music must fit the mood and or whatever I’m working on. So it varies. Yoga and meditation type of music. I didn’t realize I could sing until I was 16 years old when my father forced me to learn and sing a song in the church choir. Prior to that, I was the church drummer because we had to do something and to assist dad who was the pastor. So? I was kind of forced into it-so to speak. But I’m glad because I don’t know what and/or how I’d be had it not been for my upbringing. I would have to say that it was during that first performance of the song that my father made me sing in the church choir. I was so nervous that I held my crotch with one hand and the microphone with the other. It was to the point where my mother came from the audience, took my hand from where it was and placed it behind my leg. I was so embarrassed and moved by the experience and a reception, that I continue to hold my leg for several years afterward. Thank God for mothers :-). When I was in fifth grade all the way through college I had a vegetable garden. I went to school for landscaping and business. I would probably have continued with that and or joined the military. Looking back on your time on The Voice, what do you think is the biggest lesson that you learned being on the show? To not take things personal. Always do your best and when you’re done leave it on the stage. If you could go back and do it all over again, would you change anything about it? I would probably, if possible, inquire and consider the needs, desires and direction of the show. What was the best advice you received from Christina Aguilera? To stop thinking so much-being in my head and just do it. What was the inspiration for your most recent single, “Can’t Live Without Your Love”? After working on a song called “It’s Hard”, The producer and I discussed how would it be if I chose to stay with the woman who made things so much harder than I needed to have been-simply because, I can’t live without her love. When can people expect more new music from you? The album will be complete by the end of the summer when more fun loving songs will follow. Are you currently working on putting together a debut EP or even a full-length album? It started out as an EP but we’re continuing until we are done. What are your plans for the rest of this summer? My plans for the rest of the summer is to take it one day at a time. There’s so much to be done like photo shoots, rehearsals, physical fitness, video treatments, videos, Live performances-especially every Tuesday morning via Facebook-live as well as other social media sites whereby I perform at 10 AM, and I’m still a dad. Do you have any plans to play out live at all? I have to choose wisely. Recording the album is the first order. However, when and where it makes the most sense, I will perform. But whatever I do, I will share via social media. Luther Vandross, Michael Jackson, Sarah Vaughn, Marvin and Winans, Darryl Coley, Miles Davis, Vanessa Bell Armstrong. What musicians would you absolutely love to work with in the future? Adam Levine, Beyoncé, Chance the Rapper and Kendrick Lamar. The answer to both questions, is inspiration. My purpose is to inspire. My voice is limited only by my perception. I perceive that we all experience the same things in and throughout life. I choose to use my voice to sing about them. I sing all things to all people that I may reach some-simply to inspire. What advice would you give to someone just getting started on this music path? Build your social media family. We can’t make it without it. Sing and or play as much as you can-whenever and wherever you can. Enjoy the journey 😉 we’re all in this together. An Interview With Singer-Songwriter, CHRISTIAN LOPEZ! An Interview with New York Based Singer-Songwriter ELLA RAE!